This is the reminder that I send to my wonderful Avon customers just before my order is due. If you are in the Harvest/Monrovia/East Limestone/Madison area of North Alabama and would like to receive brochures personally delivered to your home, please let me know. If you are not in that local delivery area, please shop at my eStore. I thought for sure I would get a lot of responses to my request for customer testimonials on products, since I was doing a drawing for a free recommended product, but I only received three entries before the deadline and one afterward. I do thank those who participated for their help, and the winner of one of her recommended products (Reversalist Eye System) is Tracy Wright. Orders for C9 are due before 8:00 tomorrow (Tuesday) night. Here are some of the best buys from the brochure. There are also some great bundles offered in one of the sale fliers for this campaign, so if you did not receive one of those, you might want to take a look at my eStore link - youravon.com/smoore - and click on "Shop my brochure" in the box below my greeting on the home page. The brochure and all sale fliers will be available for viewing. Pg. 18/19, Rare Diamonds and Rare Pearls (scent spot on page), are Best Offer Ever of $9.99 each. Pg. 20/21, Just in time for Mother's Day we have lots of Sterling Silver necklaces and threebracelets, your choice for $19.99. Pgs. 28-33, Many makeup items are Buy 1, Get 1 for $1.99. Don't miss the "Get the Look" tips on those pages. Pg. 35, Glimmersticks are any 4 for $10 - a savings of $18. Time to stock up! Pg. 38, It's been a few campaigns since Gel Finish 7-in-1 Nail Enamel was on sale, but it is only $4.99 this campaign. Pg. 44, Ultra Color Absolute Lipstick is specially priced at $5.99. Do you need a new shade for spring? Pgs. 46/47, Ultra Color Glossy Tube and Ultra Glazewear Lip Gloss are your choice for $2.99 each. Pg. 49, Ideal Luminous Blush is Lowest Price Ever of $4.99. Pg. 51, Foundations at LPE are Anew Age-Transforming ($10.99), BB Beauty Balm Cream andCC Color Correcting Cream ($7.99), and Extra Lasting Liquid Foundation ($9.99). Pg. 55, Concealers at LPE include Ideal Flawless Concealer Stick ($4.99), Extra Lasting Concealer ($4.99), Anew Age-Transforming Concealer ($7.00). Pg. 63, Haiku and Haiku Kyoto Flower Eau de Parfum Sprays are $10.99 each. Pg. 73, Musk Marine Cologne Spray and Hair & Body Wash can be yours at $9.99 for both products. Pg. 78/79, Anew Clinical Thermafirm Face Lifting Cream is LPE of $14.99 and Resurfacing Expert Smoothing Fluid is only $18.99. Pg. 82, Anew Clinical Eye Lift Pro Dual Eye System is $14.99. Pg. 92, We've got minis for $5.99 in all 4 Anew product lines. These 2-week supplies are great for travel as they are TSA-approved size. Pgs. 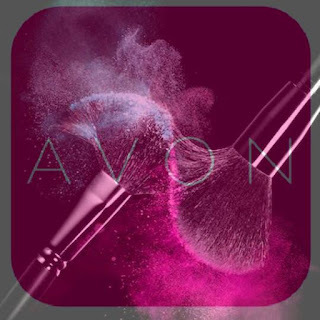 96/97, If Avon Elements is your preferred skin care, you can get items from all 3 lines - any 2 for $12. Pg. 157, Fresh & Smooth Moisturizing Facial Hair Removal Cream is $2.99. Pg. 165, Bundle Up with four SSS Original Products and a Shower Pouf - all 5 for $12.99. Since this is a $26 value, you are getting them for half price. Pg. 176, Roll-On Anti-Perspirant Deodorants in every available line - fragranced, On Duty, Cool Confidence, SSS, Feelin' Fresh - $1.49 each. My Add-On Special for this Campaign (for local delivery customers only) is any one of the following fragrances for only $8! Rare Pearls, Far Away, Far Away Gold, Imari Elixir, Flor Violeta, Free 02, Black Suede After Shave, or Patrick Dempsey 2. I only have one of each of them available, so first come first served.